*31K MILES, *TRADE IN ,*LOW MILEAGE, *GOOD CONDITION,*AWD, *FREE SHIPPING WITHIN 250 MILES , *FREE WARRANTY INCLUDED and MORE. Up for sale is a 2013 Subaru only 31k miles that is sold with 3 month/3000 mile limited bumper-to-bumper warranty(A VALUE OF $500). 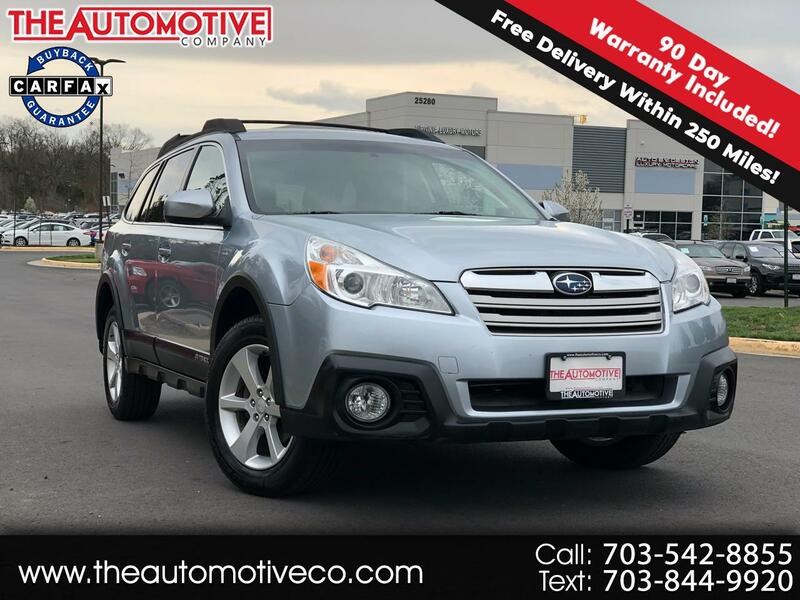 It has clean title, clean CARFAX but has previous paint and it passed VA inspection & emission .We have test driven it for over 50 miles and can with confidence say its a great running vehicle. Additional 3 month warranty can be purchased for an additional $284. ( 6 month total).We now offer FREE HOME DELIVERY within 250 miles from our location. We will deliver the car/truck to your door after the purchase has been completed at no extra cost. WARRANTY AND SHIPPING OFFER ONLY VALID WHEN PURCHASED FOR ASKING PRICE. Message: Thought you might be interested in this 2013 Subaru Outback.